Three BYU undergraduates competing against doctoral students from across the country recently earned awards at the national meeting of the Entomological Society of America. In different student oral presentation competitions, Sean D. Taylor, ’03, took first place and Seth M. Bybee, ’04, won an honorable mention; Jaron P. Sullivan, ’04, won an honorable mention in a student poster competition. The David O. McKay School of Education introduced a new major in special education beginning winter semester 2004. Administrators hope the major will help address the great need for special education teachers nationwide. 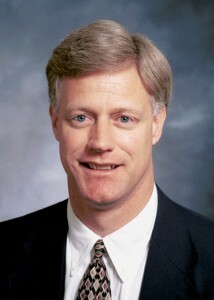 A. Lee Swindlehurst, ’85, chair of the Department of Electrical and Computer Engineering, is one of 260 fellows recently chosen from some 400,000 members of the Institute of Electrical and Electronics Engineers (IEEE). Swindlehurst, who was selected for his contributions to the field of space-time signal processing for radar and wireless communications, is the first IEEE fellow in the 50-year history of the department. The Pew Charitable Trusts recently awarded researchers at the BYU Center for the Study of Elections and Democracy $600,000 to examine how new campaign finance rules change the 2004 presidential and congressional elections. The center’s director, Kelly D. Patterson, ’82, and assistant director, J. Quin Monson, ’96, are the coinvestigators of the study. A commercial directed by Christopher Cutri, ’95, assistant professor of advertising and marketing, was featured at the 2004 Sundance Film Festival in Park City, Utah. The commercial, “Going to Utah,” was one of four winners from 41 entries in the Utah Film Commission’s commercial competition. Todd R. Pennington, ’91, assistant professor of physical education, recently received the Young Scholar Award for 2003 from the Western College Physical Education Society for his research on the assessment of effective physical-education teacher-education programs. Sara Lee Gibb, ’59, associate dean of the College of Health and Human Performance, was recently named president of the National Dance Education Organization. She will hold the position for two years. The Dante Society awarded graduate student Kyle D. Anderson, ’03, the Dante Prize, given to the nation’s best student essay on Dante Alighieri. Anderson submitted a revised version of his honors thesis, which compared symbols used by Virgil and Dante. He is the first BYU student to receive the honor. Kevin J Worthen, ’79, former Law School associate dean for academic affairs, has been named the new dean, replacing longtime dean H. Reese Hansen, who has returned to full-time teaching and research. James W. Cannon, BYU’s Orson Pratt Professor of Mathematics, was elected one of five new members-at-large of the Council of the American Mathematical Society. In addition to creating the scientific policies of the society and advising its board of trustees, the council works with federal agencies and policymakers in representing more than 28,000 mathematicians and 550 departments of mathematics worldwide. Professor of ancient scripture Joseph F. McConkie, ’65, recently published The Bruce R. McConkie Story: Reflections of a Son. The biography offers a profile of Elder McConkie and gives insight into the foundation of his ministry. Church history and doctrine associate professor Richard N. Holzapfel, ’80, teamed with William L. Slaughter, ’74, of the Church archives to write Prophets of the Latter Days. The book, an extended photo essay, is the first fully illustrated volume to examine all 15 latter-day prophets.